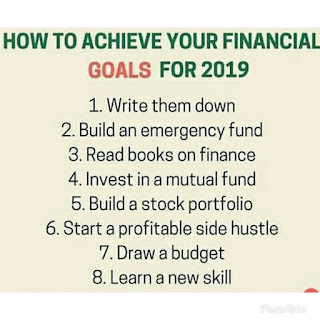 Home / Unlabelled / How To Achieve Your Financial Goal For 2019. 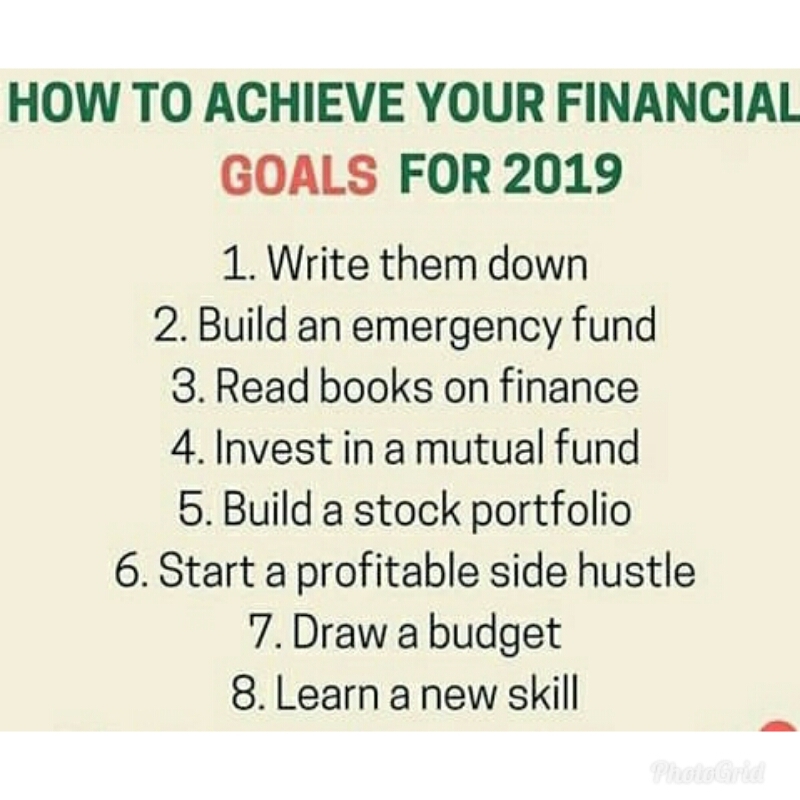 How To Achieve Your Financial Goal For 2019. 2 Build an emergency fund. 3 Read books on finance. 4 Invest in a mutual fund. 5 Build a stock portfolio. 6 Start a profitable side hustle. 8 Learn a new skill.